The Ramsey men's down mummy bag brings all our most popular sleeping bag features together into a mummy bag that provides superior comfort, yet is still packable, making it the new go-to bag for backpacking treks.With Thermo Gills, which unzip to regulate temperature up to 20 degrees, you can vent body heat without letting cold drafts in. 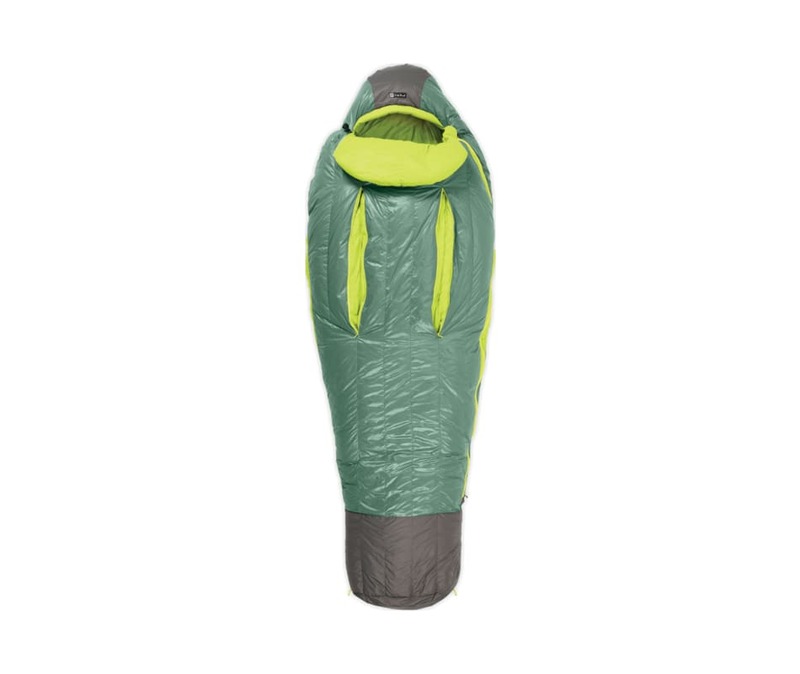 The waterproof/breathable foot box and hood protect you at top and bottom from tent condensation, when you inevitably end up against a tent wall. Blanket Fold keeps you toasty warm with tucked-in comfort, like your bed at home. If you're looking for a mummy that doesn't compromise comfort, this is your bag.